This belt allows us to be cursed with Vulnerability, making us take a lot more physical damage, but also allows us to be counted as lowlife. 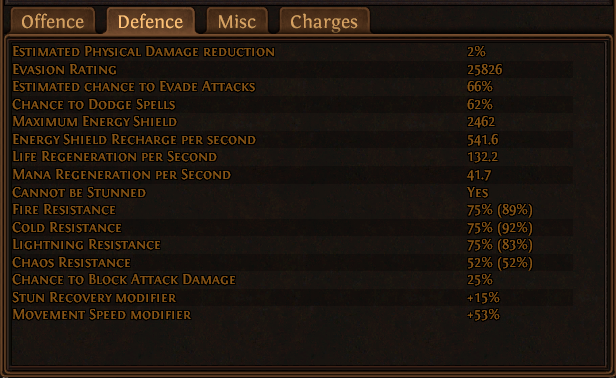 With Pain Attunement, we get 35% more spell damage while still having a shitload of HP and ES. This item allows use to be immune to curses, so any map mod with any curse would be a cakewalk for us. Say byebye to Temp Chains! With the belt above, this shield counteracts its vulnerability debuff, allowing us to be lowlife without any drawbacks. Why The Vertex? High ES which converts to more Evasion via Escape Artist Ascendancy. 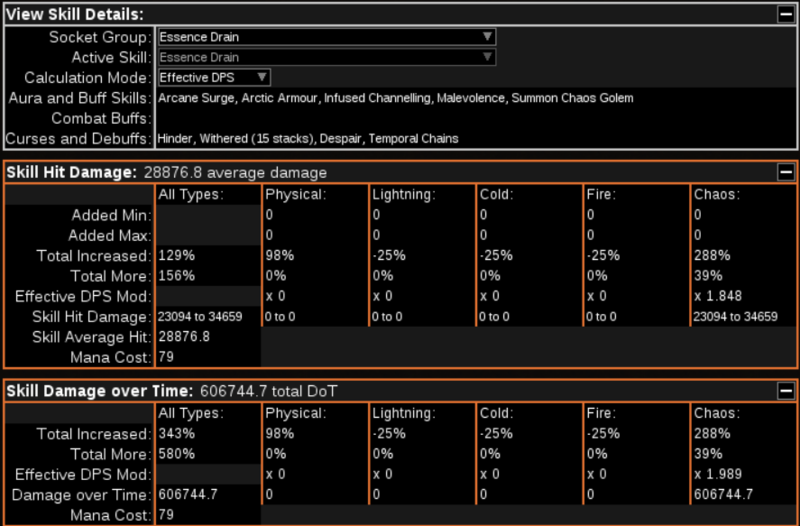 Free +1 to socketed gem levels which we will put our L21 Blight setup in here, giving it bigdick DPS. Why The Perfect Form? Free 30% Spell Dodge + Free Arctic Armour. Its high evasion roll also let us get some ES via Escape Artist. Rare gloves would do here. Try to get a high life roll if possible with as much resists as possible. Non-ailment Chaos Damage over time multiplier is also possible here but they are expensive this league. Rare boots with as much life as possible. Must get 30% movement speed here. If you have money you can get a spelldodge roll here also. Atziri's Step will do fine if you can manage to cap your resists. Rare rings with as much life, evasion, energy shield and resists as possible. This amulet gives us a free Temp Chains aura and increased buff duration after killing rares or uniques. If you can't spare the exalts, going for a Chaos Impresence is fine also. Its just changing buff duration for flat damage reduction. Gives us low life status. Try to get a good implicit via corruption as the default implicit of 20 ES is kinda bad. Curse immunity prevents us from getting rekt via the belt. Try to snag as a high curse effectiveness and All-res roll here. Don't get double curse cluster till you get your curse amulet. 2 Spreading Rot Jewels, one near flask cluster at Witch Area, other one near the Pain Attunement node. 1 Intuitive Leap to the right of Shadow starting area. Life flask with Bleed Removal, try to get as much life recovered as possible. Jade Flask with more evasion rolls. More dodge and ignore unit collision + No more frozen/chilled. How do you get +4 on multimod? 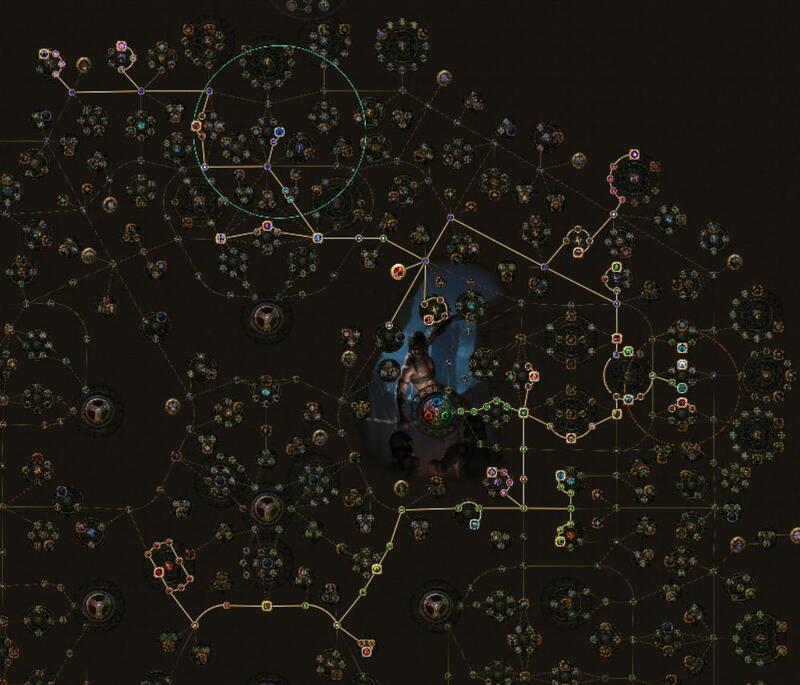 Im guessing delve mods that +1 to str/dex/int gems? Nah its +1 synthesis implicit. Costs about 8ex to buy. Octavian had a vid on how to make for around 5ex tho iirc.